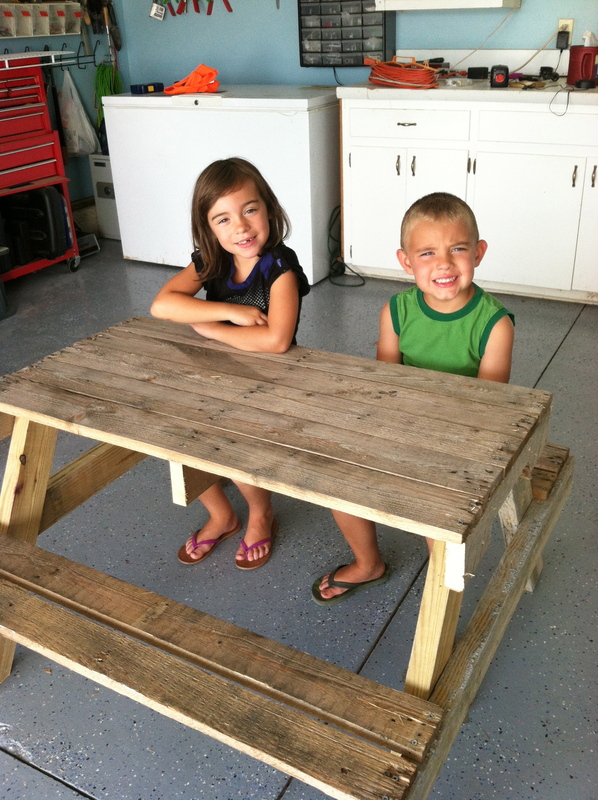 The kids loved their new picnic table and it got a lot of use. Last year we built a tree house for the kids, so I needed to make another. This time I took photos to show you just how easy it was to build. 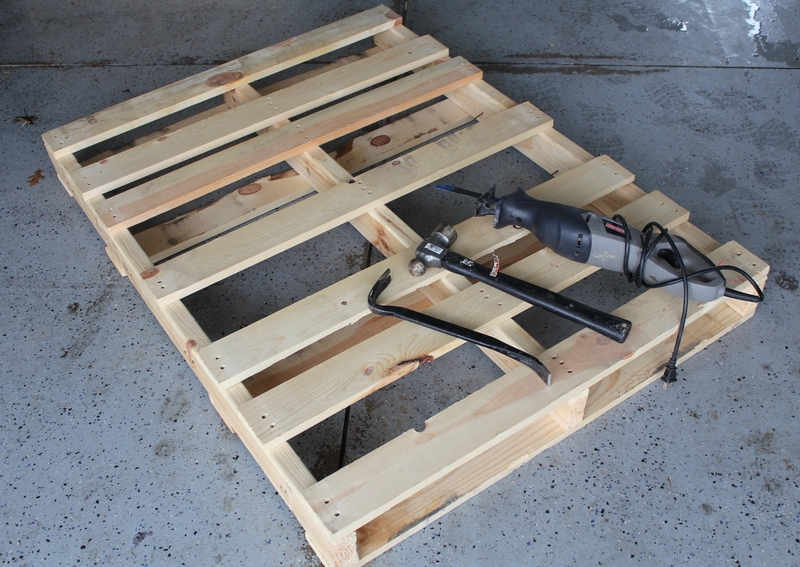 The first thing I did was demo the pallet. I used a reciprocating saw, hammer, and a pry bar. I cut through the nails on each side of the pallet first and then used the pry bar and hammer to remove the boards from the center 2×4. Next, I marked and cut all my pieces. For the pressure treated 2×4’s, I started by cutting a 30 degree angle on the end and then measured 26″ and cut another 30 degree angle. I did that 4 times to get each of my legs. 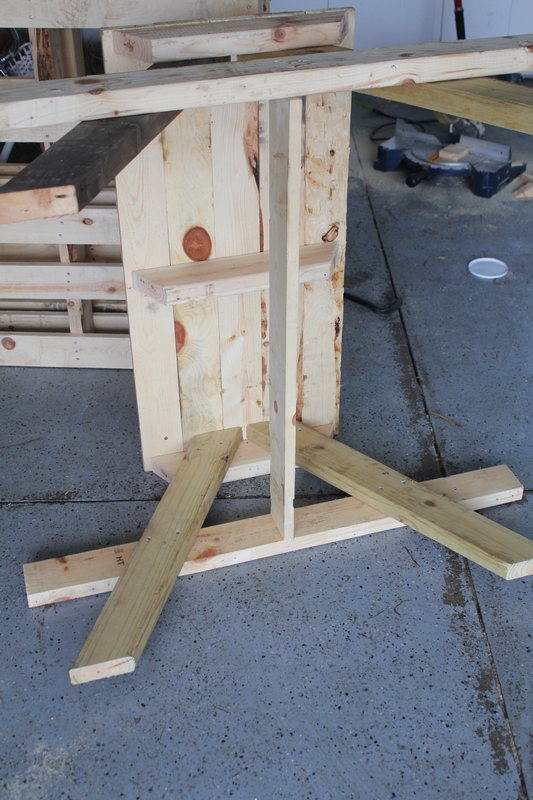 I cut 2 pallet 2×4’s to 40″ for the seat supports and the other pallet 2×4 into thirds, about 16.5″. 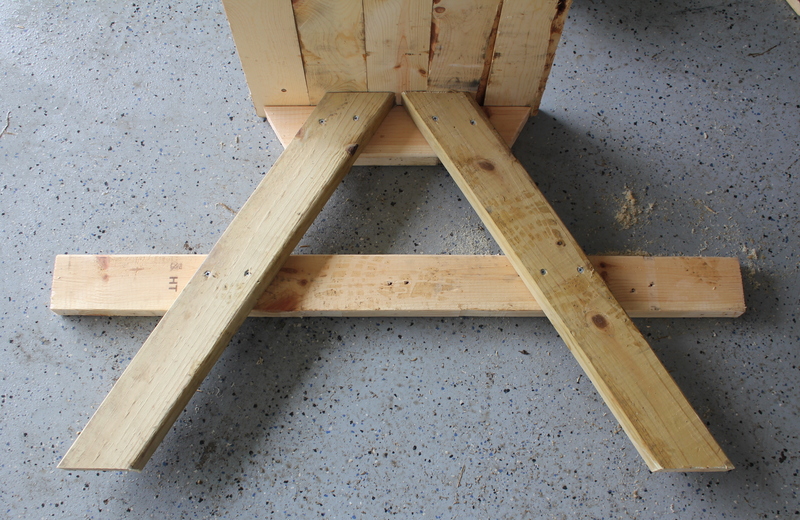 I then cut 30 degree angles on each end of the 3- 16.5″ boards. These will go under the table top boards. 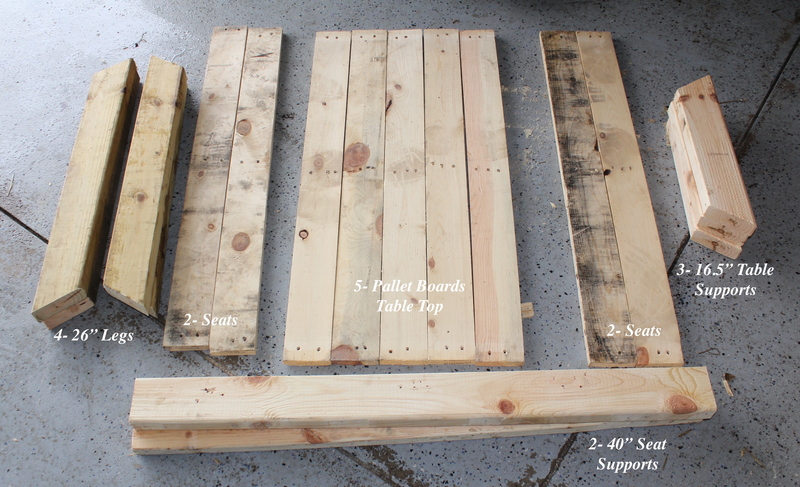 I picked 5 of the best looking pallet boards for the top of the table and 2 for each seat. Next, I attached the top boards to the supports. 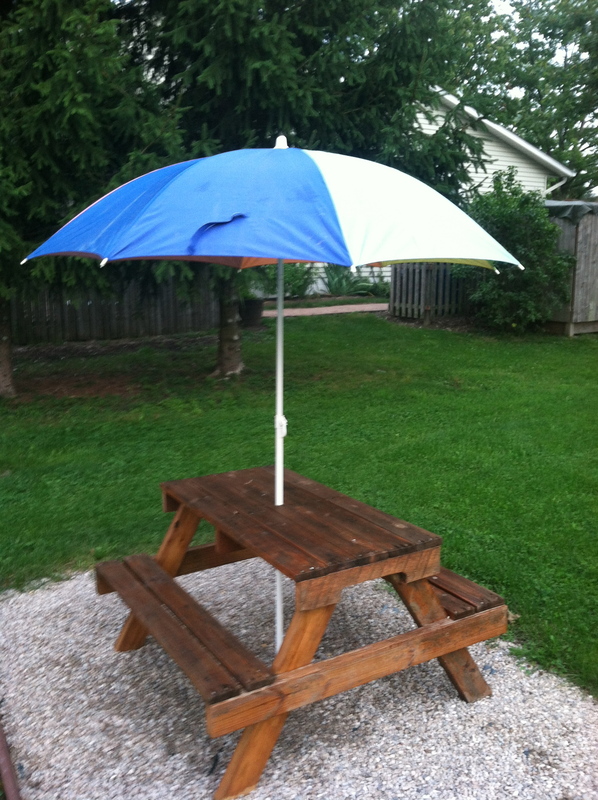 I planned to drill a hole in the top for an umbrella so I off centered the middle support, so my hole would be center and would not hit the 2×4. After the table top was finished I laid it standing up on one of it’s ends. I laid one of the seat supports down first and then 2 of the legs on top of it. The 2 legs met at the middle of the center table top board. The seat support was in the middle of the legs. I made sure to make the distance from the bottom of the legs to the top of the seat support the same on both side of the table. 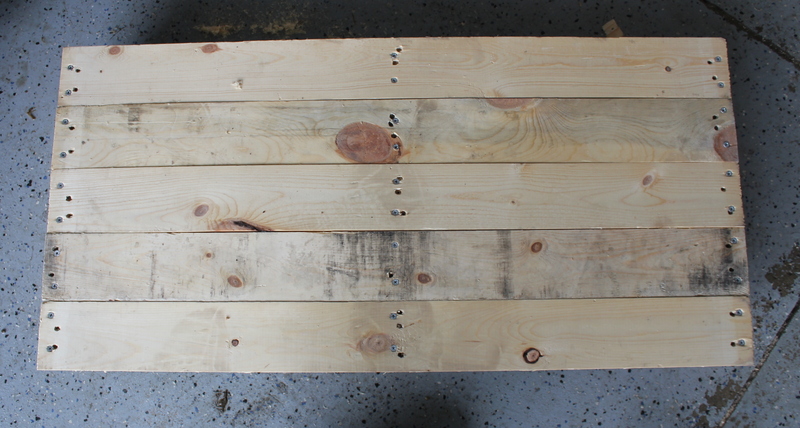 Now, I secured the boards with wood screws. After I did that same step to the other end I added another support between each of the seat supports. I forgot to include this board in the supply list. 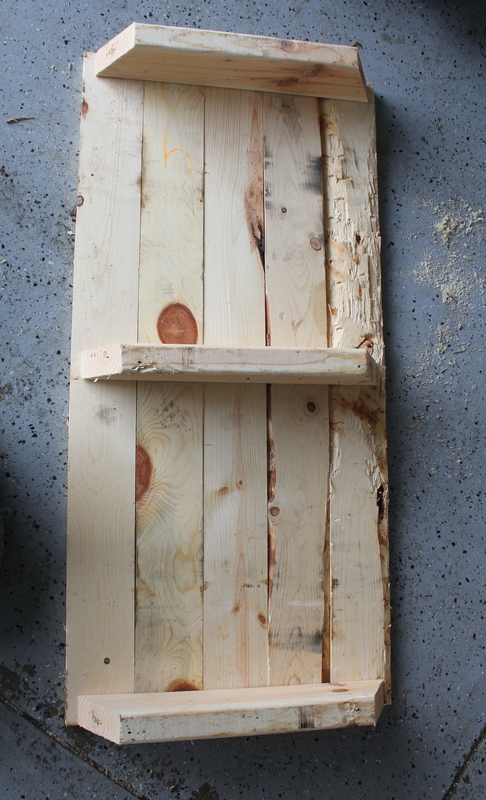 You could use a 2×4 but I just used an extra pallet board because it was already the right length. 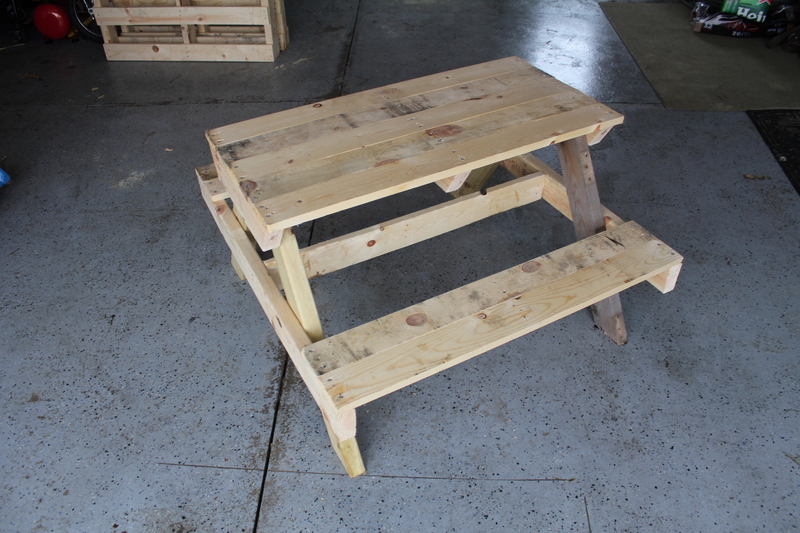 Next, I stood the table back up right and attached the pallet wood seat tops. Now all the table needed was a little sanding and some paint, stain, or just water sealer, if you like the weathered gray look. 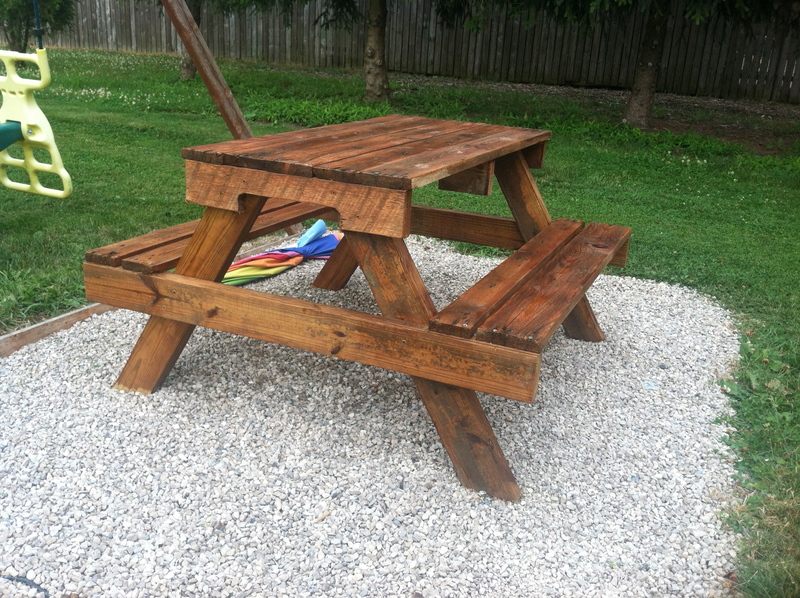 I went with just water sealer when I made this one but I think I am ready to have a little fun this summer painting it. 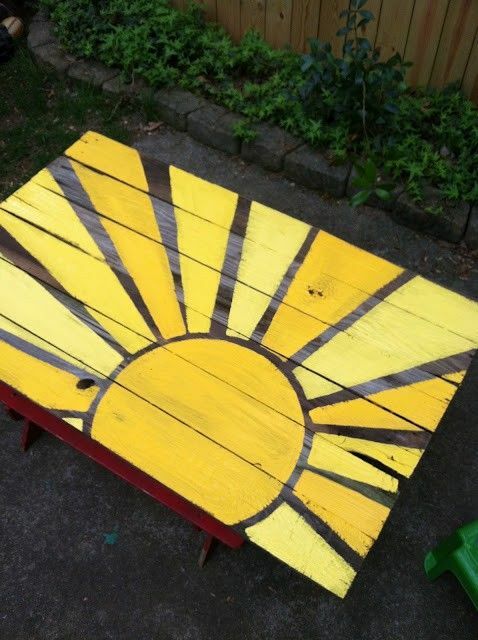 There are so many fun things you can do with paint on a picnic table. Here are a few of my favorites. Organizer. Paracord Laced Pallet Hanging Chair. 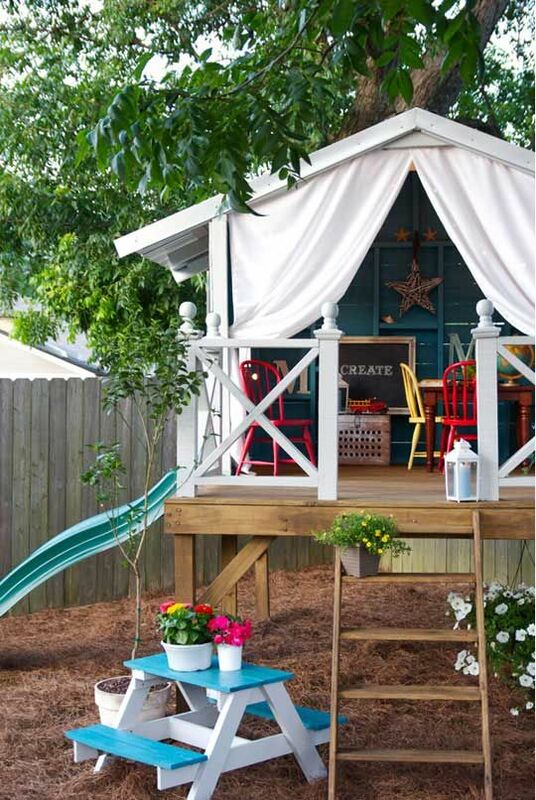 Pallet Fence. DIY Pallet Coffee Cup Holder. DIY Pallet Pot Rack.